No matter how new or well-versed you are at the ecommerce website game, you’ll be better off constantly looking for ways to improve your business and your website. Technology is growing in leaps and bounds seemingly every day, which means that digital business owners have no choice but to always be on top of the most dominating trends if they have any hope of remaining relevant and delivering their customers the services and products they expect the way that they expect. Your customers can now do their online shopping across a variety of devices, which means that you need to make sure that your website can be easily read and navigated across a number of electronic devices, including, computers, tablets and smartphones. The way to accomplish this is through having a responsive theme for your website, that way no matter what device the customer is using to look at your website, they’ll always have the full experience. You’ll not only want to make sure that you have adequate text descriptions of your products, you should also think about adding images and possibly even videos to the descriptions of your products, and that’s especially true if your products are complex. The reason for this is that Internet users have become more accustomed to getting video and high quality images to help them get a better idea of what the next technological innovation will be and use those videos and images as a way to help them decide what products or services to buy next. While it might be challenging to find the right images and videos, when done right they can really get a customer excited about your products and persuade them to buy those products much more than they would otherwise. People eat with their eyes, and they also buy with their eyes. Even if your customers aren’t interested in what you’re selling, a visually appealing background is sure to pique their interest and make them take a look. At the very least they might recommend you to one of their friends who are more likely to buy. Rather than peppering your site with images, it’s becoming popular to have a single large image. 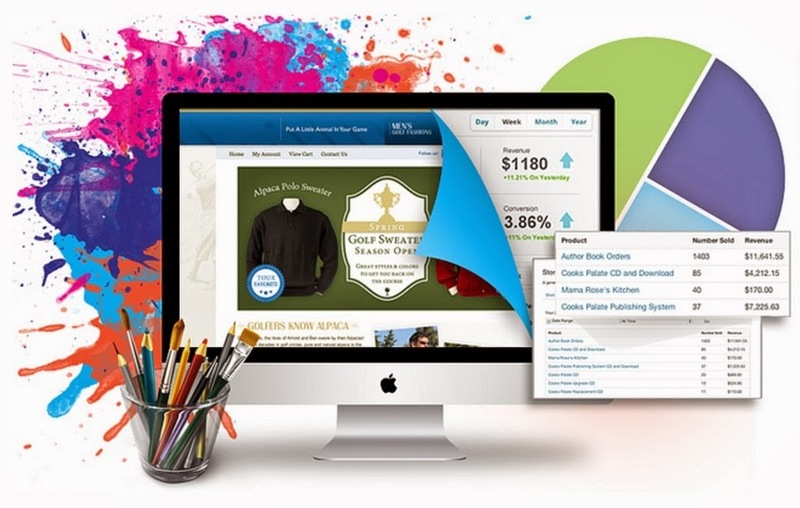 Specifically, you’ll want to showcase your best selling or most popular products on the image. Work with an experienced professional when it comes to developing this image in order for it to have the biggest impact. Depending on how many products you have, users might find themselves with hundreds of search results whenever they come to you in search of a specific product. While having several options is great, you want to make sure that your customers manage to find just what they’re looking for. Instead of pages for customers to click through, it’s becoming popular to instead have infinite scrolling. Think of how aggravating it can be to click through page after page after page. You might give up just before you click on the actual page that you’re looking for. Something else that you’ll want to include on your website if you decide to convert to infinite scrolling is a persistent navigation bar. You don’t want your customers to have to scroll all the way back to the very top in order to start another search. Chances are they’ll leave your store entirely if it comes to that. Ecommerce website navigation has taken on a more creative approach. Rather than having regular toolbars and icons for customers to click on, it’s becoming popular for ecommerce websites to have appealing images that correspond to whatever section of the website the customer will be visiting. There might be certain sections that visitors might not otherwise click on were it not for the visually arresting images that you employ. Again, it’s best that you turn to the help of an experienced professional when it comes to this trend in order to achieve the best results. There’s also a noted high definition trend. Images have become sharper and our viewing experience has become that much more enjoyable. While visitors don’t absolutely need HD images in order to decide whether or not they’ll buy your products, it certainly won’t hurt. With HD images, visitors can practically reach out and touch your products. Something else to think about is that a majority of tablets, computers and smartphones now boast HD screens, so it only makes sense for you take advantage of the technology. If you’re thinking about making any changes to your ecommerce website, make sure that you implement some of the biggest and most dominating changes and that you work with professionals who can help your site reach its full potential. Lauren Hill is a contributing writer for Sydcon.com, Chicago based website designers.